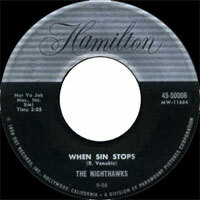 Groupe Rock 'n' Roll US du Texas, les Nighthawks comprenaient Eddie Reeves, Mike Hinton, John Thompson et Bob Venable. Ils ont enregistré chez Hamilton Records de Hollywood (Californie). 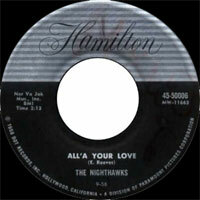 US Rock 'n' Roll group from Texas, the Nighthawks included Eddie Reeves, Mike Hinton, John Thompson and Bob Venable. 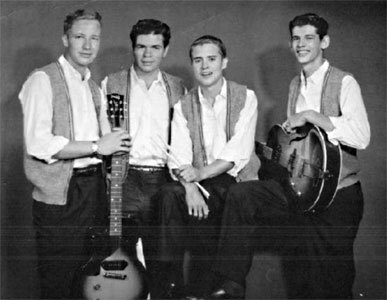 They recorded at Hamilton Records of Hollywood (California).